The TeK-Spray™ TK-5 Gallon Lubrication System is the most popular TeK-Spray System sold. 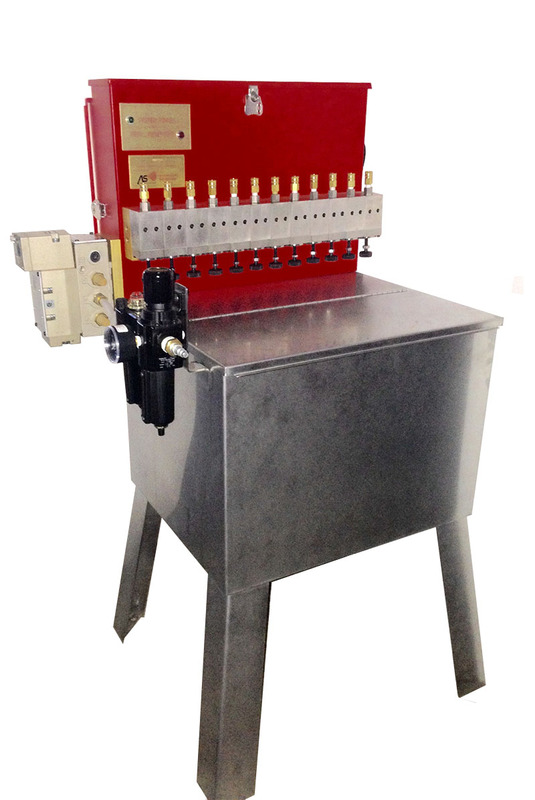 Due to its versatility, it fits most pressworking operations. It is available from 1 to 8 individual volume control stainless-steel piston pumps with Viton® O-Rings; Individual stainless-steel mesh filters on quick connect fittings; ROSS® 4.2 CV solenoid operating valve; NORGREN® Air Filter/Regulator/Lubricator; POWER ON indicator light; 15’ open end cord for output connection; On/Off Switch; Manual Operation Test Button; Hinged, latched top and rear access doors; and a 5 gallon stainless-steel fluid reservoir. 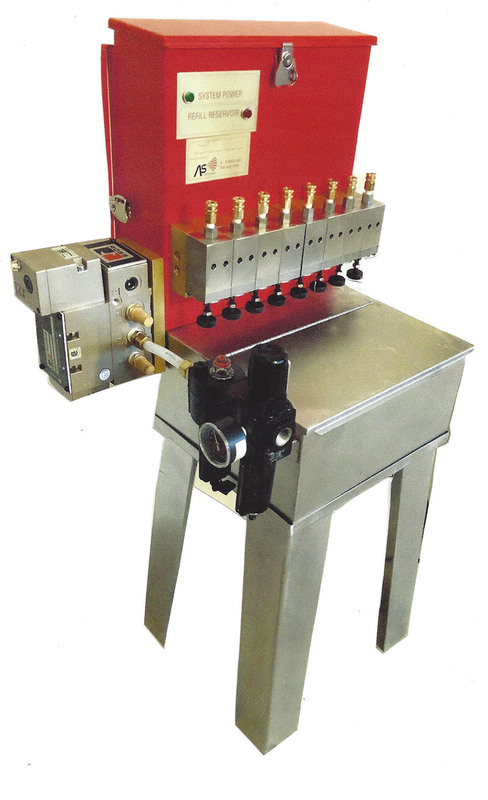 The TeK-Spray™ TK-20 Gallon Lubrication System is used for the larger pressworking operations that require more lubrication points and would use more lubricant used during a normal shift than the smaller TeK-Spray™ Systems. It is available from 1 to 12 individual volume control stainless-steel piston pumps with Viton® O-Rings; Individual stainless-steel mesh filters on quick connect fittings; ROSS® 4.2 CV solenoid operating valve; NORGREN® Air Filter/Regulator/Lubricator; POWER ON indicator light; 15’ open end cord for output connection; On/Off Switch; Manual Operation Test Button; Hinged, latched top and rear access doors: and a 20 gallon stainless-steel reservoir with drain/return fittings.